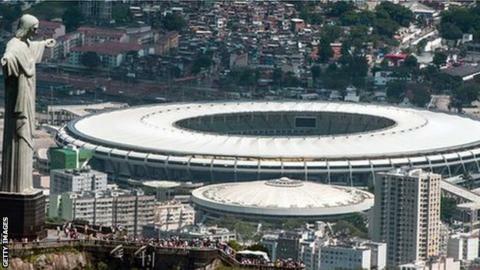 An International Olympic Committee vice-president has backtracked on criticism he made about Rio's preparations for the 2016 Games. Australian John Coates described the situation in the Brazilian city as the "worst" he had seen. But he has now issued a statement saying work is moving in the right direction. "I want to underline I still believe the Rio organising committee can deliver an excellent Games," he said. He added: "Rio 2016 is addressing the specific concerns of the 17 international federations that were raised with the organisers at a meeting in Turkey in April regarding their venues and the progress overall." Coates has made six trips to Rio as part of the commission responsible for overseeing the preparations. On Tuesday, he said construction had not started on some venues, infrastructure was significantly delayed and added that the city had "social issues that need to be addressed". Coatrs, who has been involved in the Olympics for nearly 40 years, said the IOC had taken "unprecedented" action by placing experts in the local organising committee to ensure the Games go ahead. Is Rio ready for the big time? Read more on Will crime cripple Rio's Olympic ambitions?